Have you ever wondered how a zombie apocalypse would play out in PEI? Well, the answer you are seeking can be found in Unturned, a free-to-play sandbox survival game based in the Cradle of Confederation. 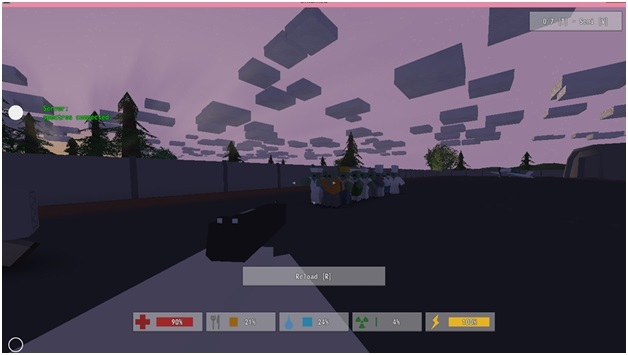 The game offers a single-player mode, though I would highly recommend playing with friends on a hosted server or joining an open server because surviving the zombie apocalypse alone just isn’t as fun. When you start playing, you’ll find your character naked in a random location on the island; then the long journey to find your non-zombie comrades among the undead hordes begins. There are a few elements in this game that help speed up this process. Firstly, there are a number of cars you can find which boost your travel time and have the added bonus of loud engines to alert fellow players of your presence. There are also a number of landmarks that make meeting up a little easier—so far, my group of friends has a good track record for managing to meet up at the aircraft control tower in the zombie-infested airport. Then it’s up to your group to scavenge for supplies: weapons, food, clothes et cetera. These supplies make it possible to create a home base equipped with sleeping bags or cots, which serve as future respawn points if one happens to be eaten by zombies. Pondering the nature of respawn points. The thing that makes Unturned really special is the attention to little details. For example, the cars you can find will eventually run out of gas, making it imperative to find a gas can and a town with a gas station to refuel. It is also important to find canteens that can be used at the well so that there is a steady supply of drinking water. Though the graphics of the game are simple, the elements of survival are complicated and involve more forethought than “shoot the zombies”. The zombie killing is still an important aspect of the game, however, both for entertainment and to gain experience so that levels can be put into things such as endurance or marksmanship. Out for a gas run. There is also the crafting side of the game that allows you to farm, make bandages using cloth and clothing, and create building supplies to build your own custom safe house. I personally like to be situated near a farm, but being situated near the water to watch the reflection of the moon can offer some poignant moments of philosophizing over the zombie apocalypse. Even in 2016 this continues to be my favorite F2P Game. 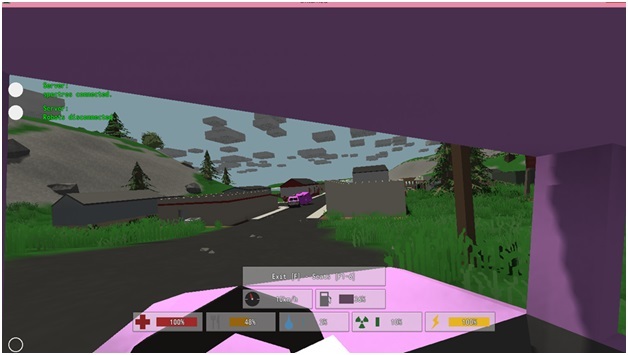 Do you still play unturned? I have been looking for other players for a while to play with. 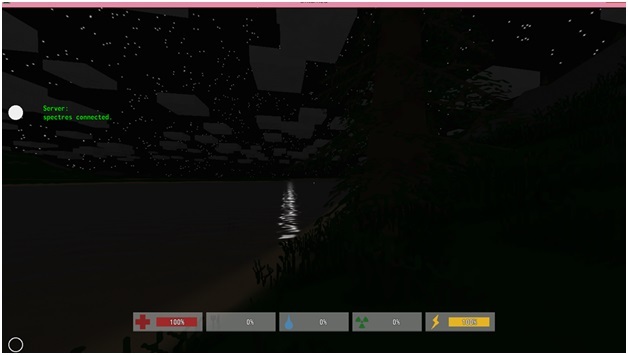 Unturned is a good example that graphics don’t matter but gameplay does! You knew that you can host a server on amazon?